Under the overall supervision of the Head of Operations in IOM South Sudan, the direct supervision of the Programme Coordinator (DTM) and in close collaboration with relevant units in the Country Office, the successful candidate will be responsible for supporting all operational aspects of the DTM operations. Facilitate the set-up and implementation of DTM field operations covering mobility tracking, flow monitoring, assessments and surveys, as well as biometric registration, verification and authentication. Contribute to the development and maintenance of data collection tools, methodologies, standard operating procedures and work plans, as well as identification of target areas, to ensure timely and relevant data collection. Take responsibility for all logistical arrangements related to deployment of staff to field locations, including ensuring administrative requirements are fulfilled timely and correctly in coordination with the security, resource management and procurement units of IOM. Supervise DTM Operations Assistants and Data Entry Clerks, as well as temporary workers engaged in the field. Identify areas for improvement and undertake trainings and on-the-job capacity building to ensure programme quality. Undertake field support and monitoring missions to maximize performance of DTM field activities, liaising closely with local authorities and partners. Provide timely updates on activities being implemented to the Programme Coordinator and highlight any areas of concern promptly. Contribute to internal and external reporting and the documentation of best practices and lessons learned. Help foster good relationships with partners and national authorities through close engagement at the field level, including consultation prior to and throughout implementation of activities, as well as sharing of resulting findings once published. Help establish referral mechanisms for specific protection cases in collaboration with the United Nations Mission in the Republic of South Sudan (UNMISS), UN agencies and Non-Governmental Organisation (NGOs) with established expertise on responding to vulnerable beneficiaries. 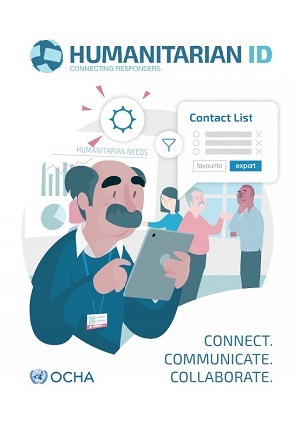 Collaborate closely with IOM programme units and humanitarian and transition partners to optimize the utility and impact of DTM, particularly in relation to rapid response missions, programme planning and linkages to transition programming, including integration of protection and cross- cutting indicators. Facilitate the integration of gender perspectives and attention to specific women/girl’s and children’s rights issues (vulnerable groups) within all DTM activities. Assist in ensuring compliance of all DTM staff with IOM Data Protection Principles. • Previous experience working in South Sudan a distinct advantage.